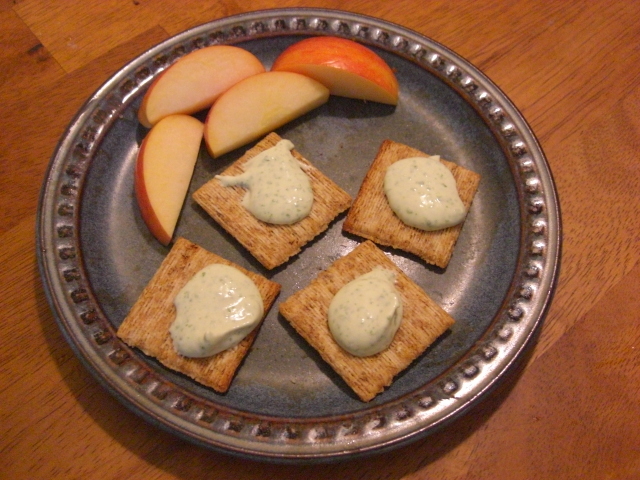 I made a watercress spread in the food processor with cream cheese, butter, salt, and pepper. I didn’t have any bleu cheese to add like I’d planned. The results were okay. I think it’s still missing something, though. Hopefully I can make it better. Maybe serving it on toasted whole-grain sourdough will help. Otherwise, I’ll forget it in the fridge until it’s too late because there are more delicious things to eat. 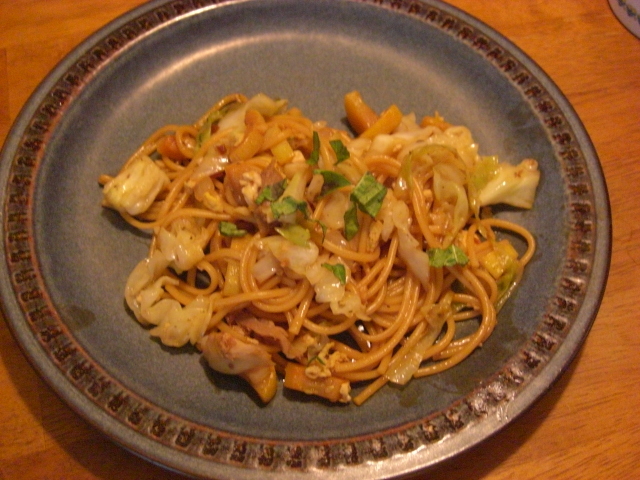 We had some wonderful lo mein with egg, a little bit of chicken, cabbage, onion, garlic, and squash. The chicken was the end of the whole bird I bought from the online CSA store. There was supposed to be a saga of the chicken, but it got cut short when Chris in his kitchen-cleaning glory tossed the carcass. So no stock and no noodle soup this time. But we did get roasted chicken, chicken sandwiches, and this little bit for lo mein. Because it was just a little bit, I added one egg to the mix. While the linguine was cooking, I almost-scrambled the egg and removed it. Then I browned the chicken and minced garlic in peanut oil and removed that. Then came the onion, cabbage, and squash in a little more oil. Usually at this point, I would add everything back to the pot and mix it up. Instead, I removed the veggies and added some stir-fry sauce and soy sauce to the pan. 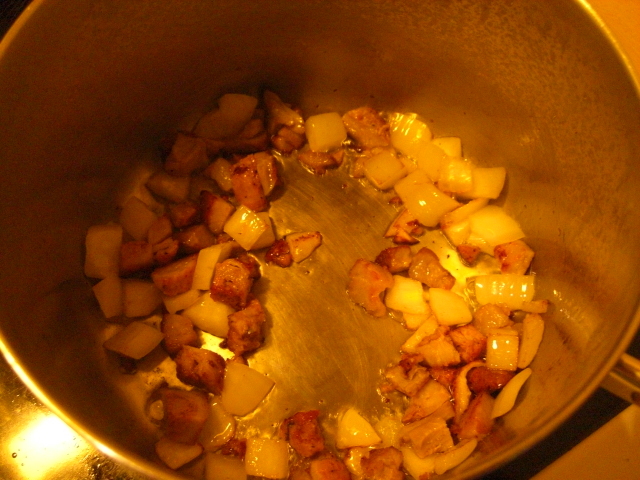 Then I added the drained linguine and let it cook for half a minute or so. 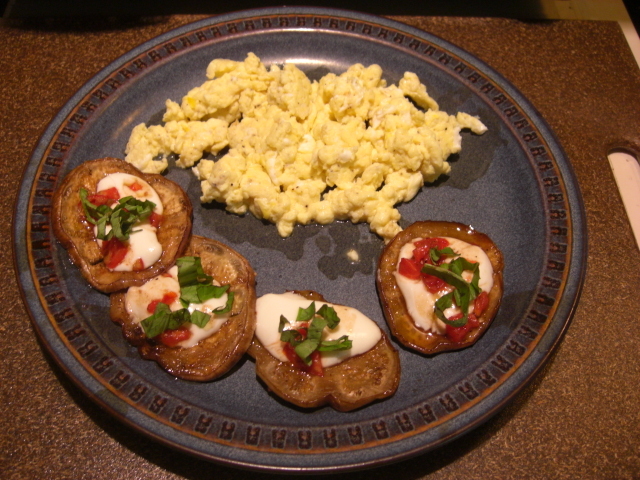 After that, I added back the rest of the ingredients – first the egg, then the meat and veggies. Finally, I topped it with fresh basil. 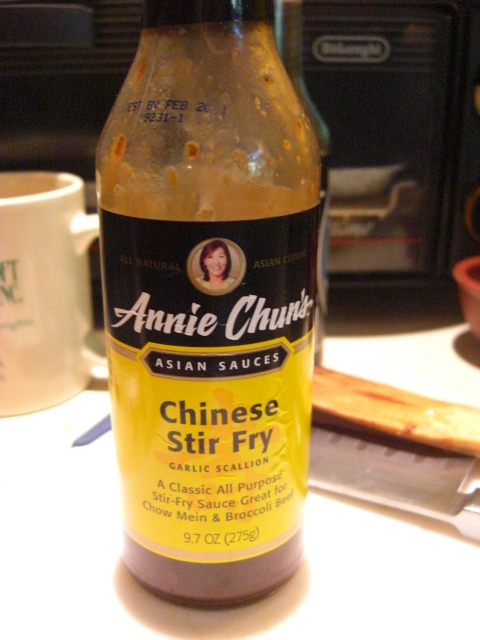 Cooking the noodles in the sauce made the dish really work, and this stir-fry sauce was big part part of the success. I’ve always liked lo mein at restaurants better than fried rice. 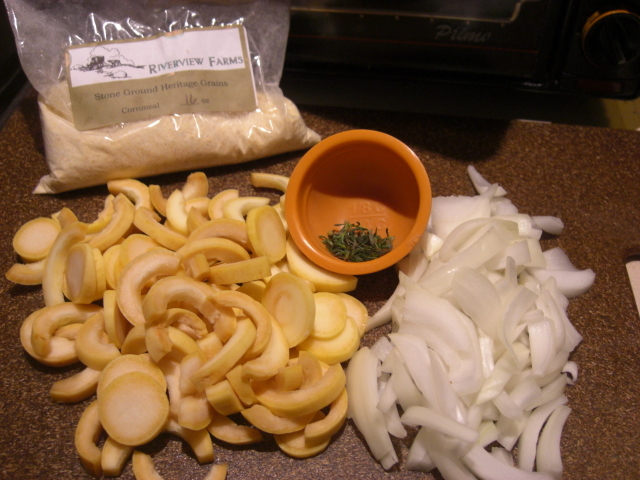 Now that I know how to make it tastier, lo mein will be our go-to recipe for using up veggies. Any excuse to eat more pasta, right? I think I forgot to mention that the salsa available on the store is amazing! If there are jars available later this year, I’m thinking about giving them for Christmas gifts. It’s as good as the stuff at Nuevo Laredo and cheaper if you count driving to the west side of Atlanta. Lunch before the gym last Friday was scrambled eggs. Chris and I noticed that we had more energy once we got to the gym than we had any right to feel considering the amount of sleep we’d missed over the past week. So we ate scrambled eggs for lunch today in hopes of confirming the effects this evening. Hopefully, the broiled eggplant won’t skew the results. Tossed the carcass! EGADS! Say it aint so. 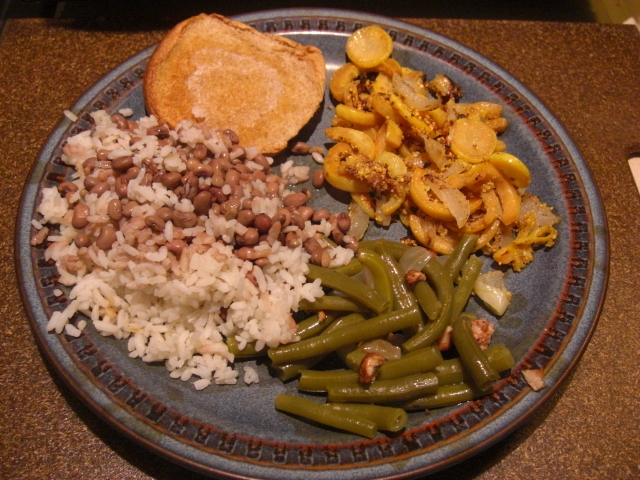 I hear you on the scary southern veggies. What is the point of eating them after you can’t tell them apart from the water they were cooked in? Ugh. As far as scrambled eggs go, when I eat them for breakfast (only the eggs, no toast, no fruit, etc) I stay full forever. Love my scrambled eggs! Smoked turkey wings/necks/legs are pretty cheap – I keep them in the freezer & pull them out when I need some “seasoning.” Bacon will work, but the results are too greasy for my taste. 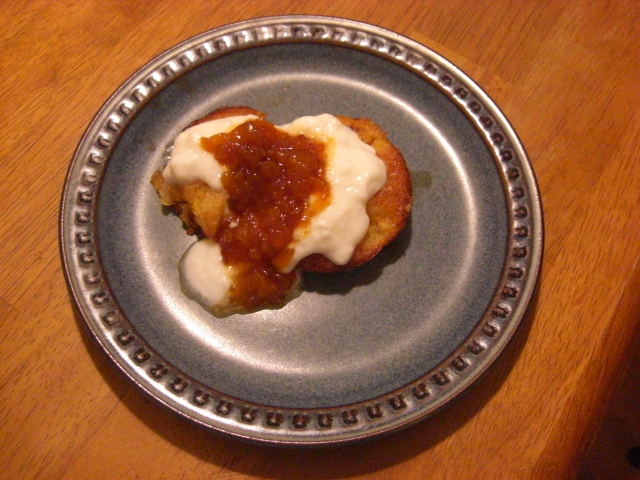 Love the mini nectarine cobblers – double yum! @Lucy Hmmm… smoked turkey = lots of flavor and less grease. We’ll have to try that.